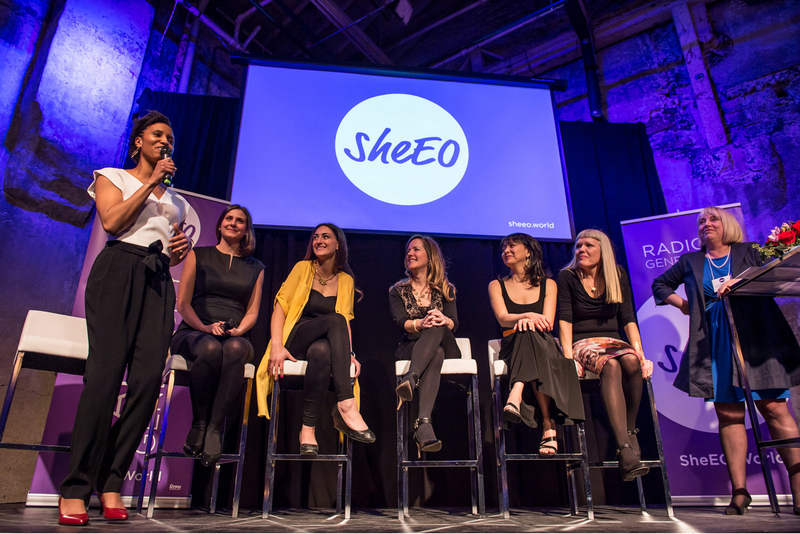 Our fabulous cohort: Suzanne, Magnusmode’s Nadia Hamilton, Abeego’s Toni Desrosiers, Skipper Otto’s Sonia Strobel, Twenty-One Toys’ Ilana Ben-Ari, Madeleine. 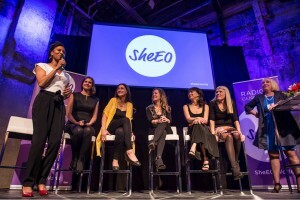 It’s no secret that we are longtime champions of women entrepreneurs in general, with a special fondness for those who find their inspiration in the social impact realm. We were especially touched and impressed by our SheEO Radical Generosity cohort, who, chosen from among 230 companies across Canada based on their overall business merits, also happened to all have a powerful social impact, as well as incredible lessons and role modelling for us. Here are our impressions of four rockstar entrepreneurs and their amazing initiatives. 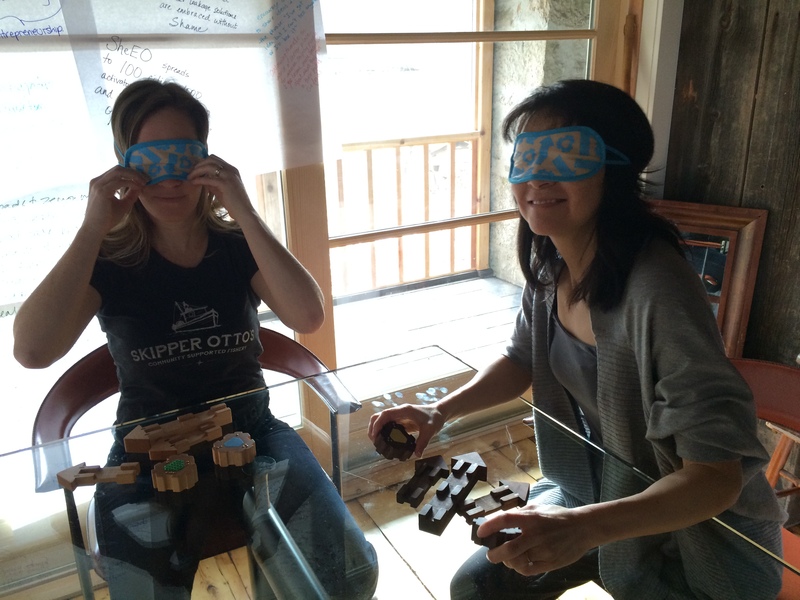 Sonia and Suzanne get their Empathy groove on playing with Twenty One Toys. Twenty One Toys teach empathy, failure and non-visual communication skills to children and adults alike. Developed by industrial designer Ilana Ben-Ari originally to facilitate play between blind and sighted children, she discovered that they also had novel, universal applications for basically anyone who would benefit from enhancing their communication and relational skills (hello, most of us, am I right?). It was amazing to watch Suzanne and Sonia Strobel (more about her in a minute) find their way through explaining how to arrange the pieces while blindfolded: it was a moment that beautifully demonstrated the toys’ power, as well as the human capacity to reach beyond our limitations, imagined or otherwise. Ilana is one of the bravest, most resilient people that we have ever met. While Suzanne and I often rely on one another for support, Ilana has traveled on her own to China with precious few resources, spent her last pennies on manufacturing and even wore a borrowed dress to the Purple Carpet gala. Whether for your team, your kids or whatever people you could use better communication with, check out Twenty One Toys: they’re revolutionary. So: back to Sonia. We like to think that we’re fairly up on sustainable business, however when it comes to essential, non-urban industries like agriculture and fisheries, we know that they are vital and yet have to confess to being in need of education: Sonia to the rescue! Did you know, for example, that over half of the seafood available at stores or restaurants is mis-labeled? Or that most of our local BC catch travels as far as China (not swimming) for processing, changing hands up to 20 times, losing freshness and costing more at every step? Sonia created Skipper Otto’s Community Supported Fishery (CSF) to support family-owned Fishermen (Fishers of all genders apparently agree on this name) and provide consumers with fresh, sustainably-caught seafood. One of the things that struck us most powerfully about Sonia is her remarkable ability to speak her truth. It’s one of those things that I catch myself on sometimes: wanting to please others, or sacrificing my needs for the sake of perceived efficiency. Not this lady: maybe it’s the fresh seafood that gives her the courage? (L-R) Nadia, Toni, Ilana, Sonia, Suzanne, Madeleine and Coach Loren Walsh. One of the most powerful questions asked by Magnusmode founder Nadia Hamilton was “Have you ever been lost?” Fur sure, however consider what this might be like as a daily experience: this is the need that Nadia is solving for. Inspired by her autistic brother Troy, Magnus cards help people with autism and other cognitive disabilities navigate life. When I think of Nadia, the phrase “the fierce face of love” comes to mind. She is – for real – a fighter: trained as a boxer and uniquely compelling in how her love for her brother has motivated her business – do not even consider resisting her. Know anyone with autism or other cognitive challenges? Some of us are fighters, and some of us are lovers: which brings me to Abeego founder Toni Desrosiers. There is a lot of talk out there about vulnerability these days, however we have rarely witnessed it as powerfully as in Toni’s presence. Her innovative products are born from her experience as a Holistic Nutritionist, and were frankly not what I expected. Whereas I had been seeing their value proposition more from an environmental perspective (reusable beeswax wrap replacing plastic wrap and containers), what I ended up learning was the value of keeping food fresher (and ergo healthier) for longer through the lesson of biomimicry: think of the breathable skin of a lemon or avocado – you get the idea. As the famous E Myth tells us, it’s one thing to be an original thinker and come up with new products or services, however entirely another to run a business selling those things. The ability to do both is extraordinary, and these ladies are it. 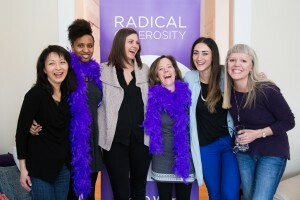 Thank you Ilana, Sonia, Nadia and Toni for sharing your brave, smart, strong selves so fully: we are beyond grateful for your leadership and lessons!